The Village of Arcanum is asking residents to do their part in helping reduce the feral cat population. ARCANUM — The Village of Arcanum is taking steps to advise residents about a growing feral cat problem. During Tuesday night’s Village Council meeting, Village Administrator Bill Kessler said the village has developed a new pamphlet for village residents, informing them of the problem and of ways they can help stop it. Kessler said there have been fewer feral cat sightings at Water Street but more toward the area of the library. “I’ve received a few more complaints about cats this year than I did last year,” Kessler said, adding the village currently is not funding a Trap, Neuter and Release program, as the City of Greenville does in association with the Darke County Humane Society. Kessler also warned against cruelty toward the animals. “You cannot shoot the cats,” he said. 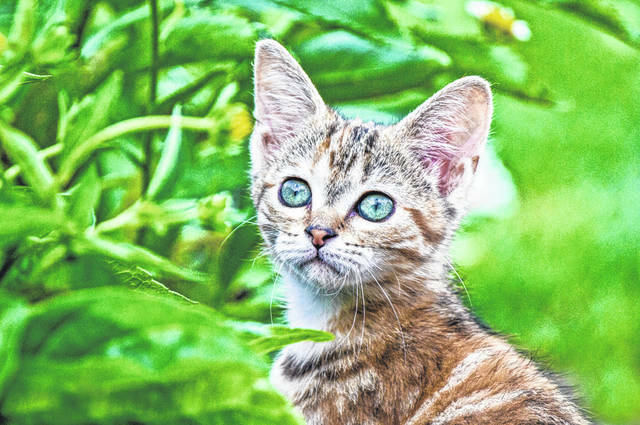 As well, Mayor Judy Foureman addressed the issue in her monthly newsletter, which states feral cats are primarily the result of abandonment or failure to spay or neuter, which allows them to breed uncontrolled. “These animals are causing a huge PROBLEM in our village,” she wrote. “They damage property, spread disease and create a mess and odor. One SOLUTION is not allowing your cat to roam unless spayed or neutered. Do not feed stray cats. This creates a safe place for feral cats to congregate. Once you feed them, the cat belongs to you, and you are responsible for their actions. This entry was tagged Arcanum, Cats, Feral cat, Village Council. Bookmark the permalink.